Look up December 22, 2012 on any popular search engine and you'll find article after article pertaining to the end of the world. 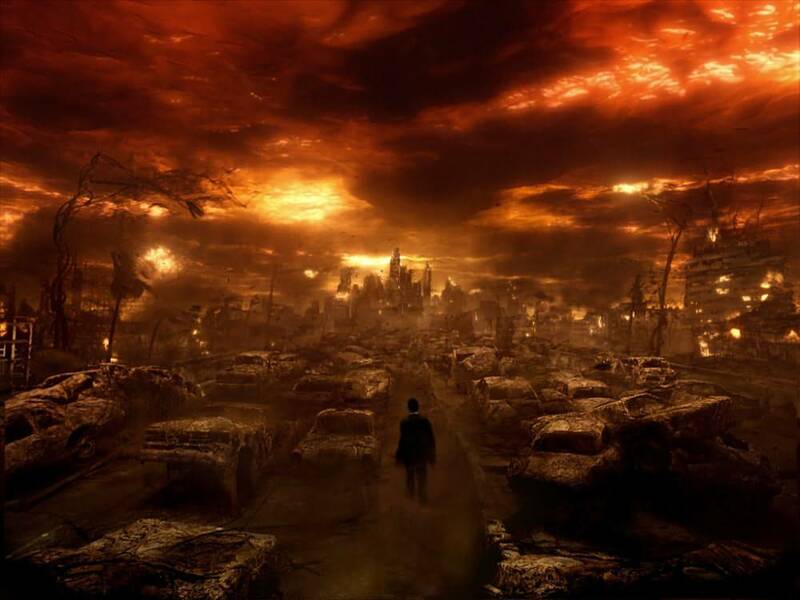 Here are a few reasons why so many people believe the world will come to an end on this date. Mayan master mathematicians believed that the Earth would reach some kind of synchronization with the universe by Dec. 22, 2012. One Mayan prophecy is that the current Age of Materialism will end on this date. On this date, Winter Solstice occurs with the Earth tipped to its maximum, some people think the Mayans foresaw a polar shift that would cause a major apocalyptic event, destroying civilization as we know it. The Mayans also used another complex system of counting days related to a starting date they called the Birth of Venus. That date was set at Aug. 13, 3114 BC. This calendar was divided into uinals of 20 days, tuns of 360 days and longer periods of 7,200 days known as the katun, and 144,000 days called the baktun. The Mayans seemed to believe that the world as we know it would end at the conclusion of the 13th baktun, measuring from the Birth of Venus. That date points to Dec. 22, 2012. Some believe that Earth is going to get a second sun burning in the sky near the end of 2012, as the second biggest star in the universe, Betelgeuse, is dying, which will lead to “multiple days of constant daylight”. Some note that not only the Mayans, but Chinese writings, English oracles, and oracles from Rome and Greece predicted that everything will end on 2012. Occurring only every 26,000 years, the galactic alignment of the sun and the plane of the Milky Way occurs in 2012 on December 21st. On September 11, 2001, a cataclysmic disaster precipitated by a vicious terrorist attack brought our great nation, the United States, to its knees. Now known as the 911 attack, the skyline of New York, and the lives of Millions, would be forever changed. On March 11, 2011, another great disaster, this time wrought by mother nature, struck Japan. A magnitude 9.0+ Earthquake followed by a magnificently violent tsunami killed thousands. It hasn't ended yet, and through the date of this post, a nuclear disaster with implications still unmeasured, could kill thousands more. These events seem related only by death, horror, and destruction, but is there something even greater at work here? I think there could be. That's right, DECEMBER 22, 2012! Uh Oh!! Leave your comments about what you think concerning this, I'd really like to hear your thoughts. I hope my math is wrong! Labels: Japan earthquake 911 Earth world end "end times" final death destruction cataclysm cataclysmic Mayan calendar stop "End of the World"
uh oh, that is pretty weird that 09-11-2001 + 03-11-2011 = 12-22-2012, I mean like freaky weird! I sure hope that is wrong cause if that come to pass you will see one giant world wide riot!!!! personally I think it all a bunch of hokey because how can ANYONE back from the mayan days ever be able to predict the future?? yes I do know that alot of predictions came to pass however I think they were by mere coincidance, because after all NO ONE can posess the capabilities to predict the future accuratly, the predictions that did come true??? merely educated guesses, MUUUAAAHHH!!!!!!!!! Actually, if the horror occurs on the 21st, what would be the ACTUAL date that the world no longer exists as we know it? The 22nd maybe?